← Mesi anpil! Thank you! We began our day with prayer and time with the Word of God. Then it was the usual Saturday morning cleaning, spraying the rooms with bug spray, clearing the spider webs, and cleaning the dirt that accumulates. Normally on Saturday we do our laundry, but we have learned that there is not enough water on Saturdays. At 10 a.m. we got a ride to the Pastoral Center where our container is located. Our friends Klara and Gael joined us, along with Fritz, our driver. Fritz brought along his young little friend, Paschal, who has no parents and is very poor. 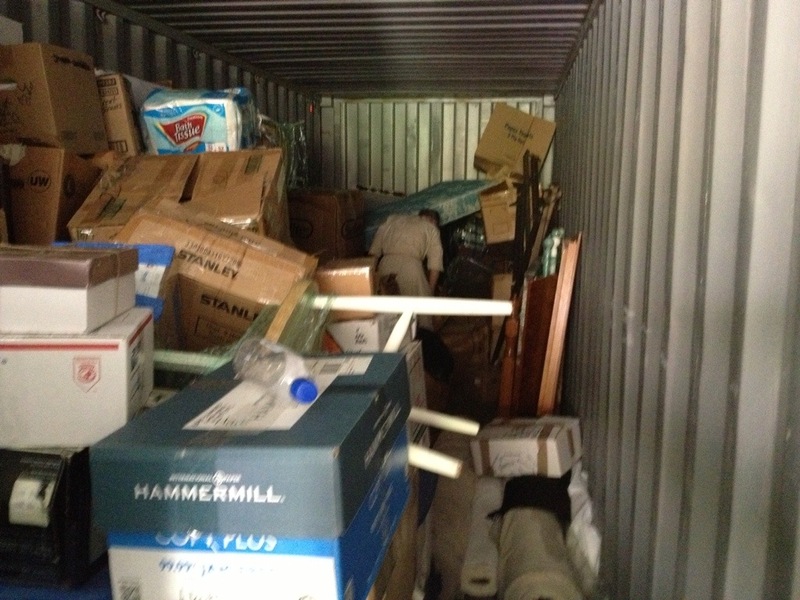 Today we worked in the container, going through all the boxes with medications and medical supplies. We organized these items in order to deliver them to clinics that we will be visiting when we get our car. 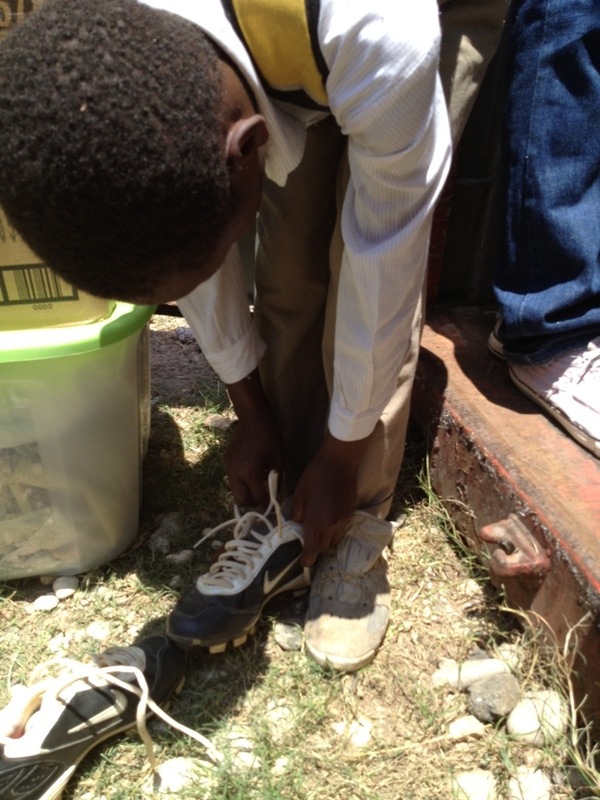 We also found many other treasures stowed away in boxes–school supplies, games, more new sneakers, and liturgical items. We spent about 3 1/2 hours in the container, which was really hot. We were soaked. 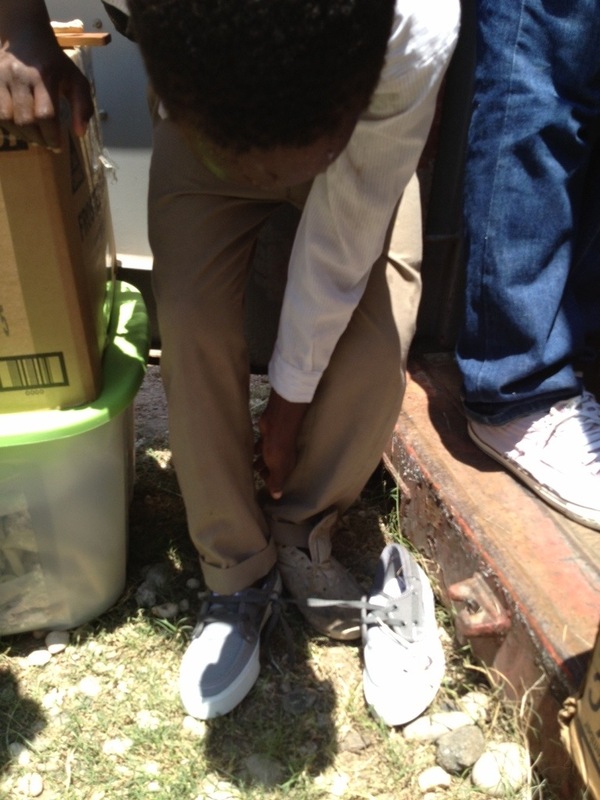 Our helpers received some nice gifts, especially Paschal, who needed new shoes and some new clothes. When we finished, we went to the Bishop’s garden. Daniel, his groundskeeper who knows us, gathered a box of mangos for us. 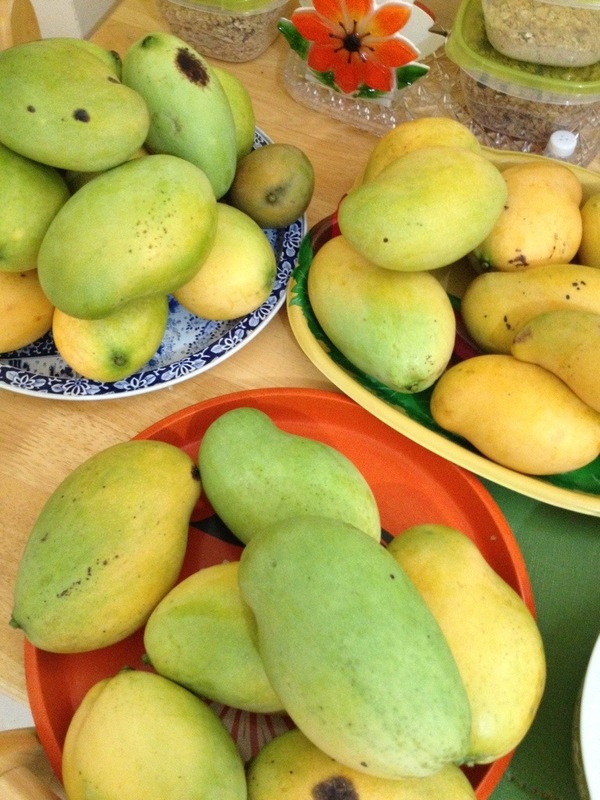 Tomorrow, our friends, Yvon and Gracias, may come to visit us; and Yvon loves mangos. Finally, we went to the outdoor open machè (market) to get some fruits and vegetables that we need for the next few days. Klara and Gael went with us to help us to bargain. 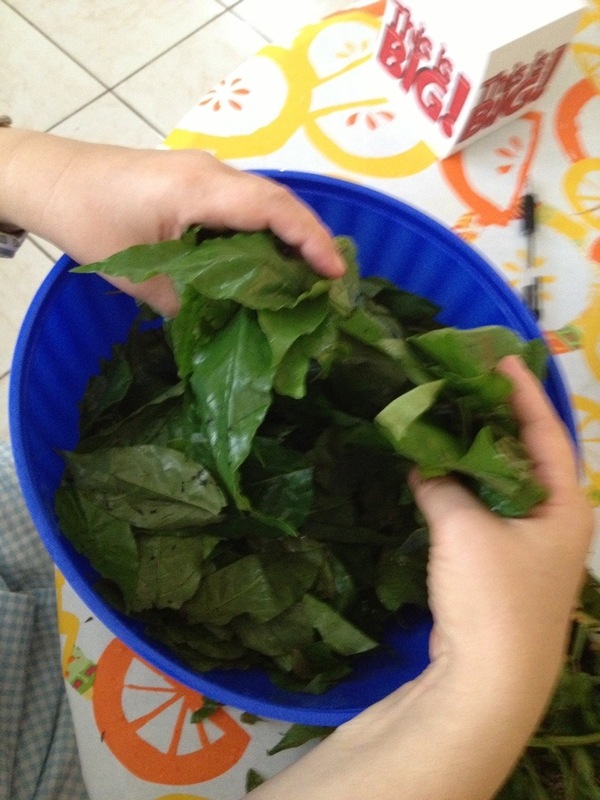 They convinced us to buy a bunch of leaves, which they said you cook like spinach with beregen (egg plant). We bought, as always, oranges and grapefruits to make our juice; and to make our juice you need a lot of them. We know more and more people at the outdoor market. We got home and cooked a quick dinner of leftovers and then began to do some cooking for Sunday. We don’t worry when we cook for ourselves, but cooking for guests is a big challenge. 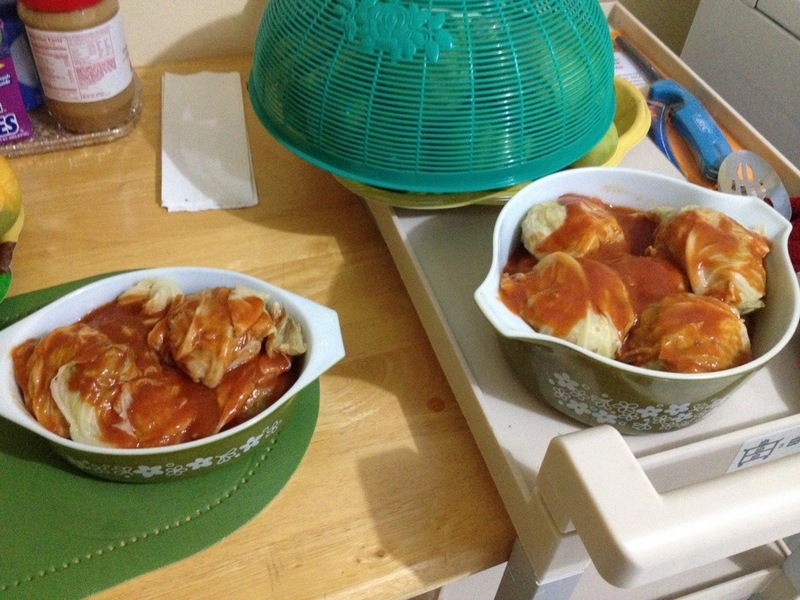 We decided to make stuffed cabbage. 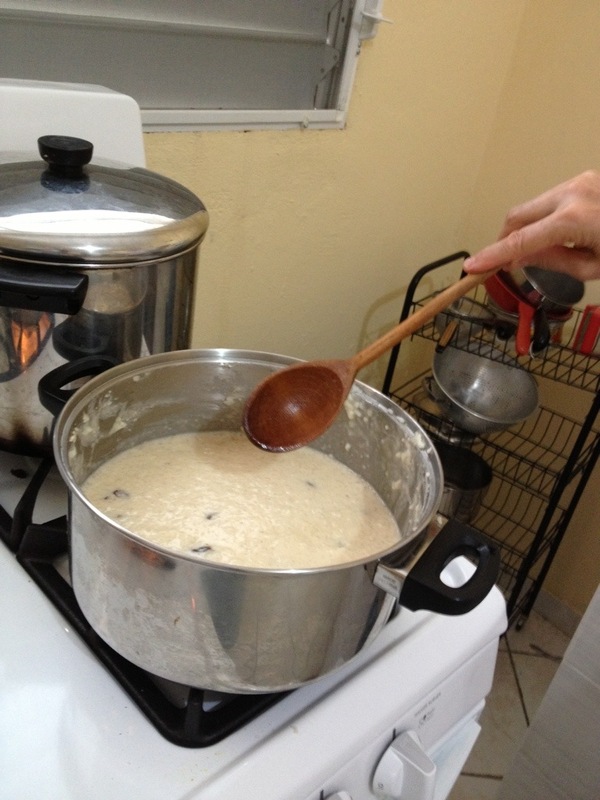 We had a lot of rice leftover, so we made our first attempt at homemade rice pudding. Then we called Klara to ask her how to cook the leaves. She told us to just boil them. That is what we did, and tomorrow we will use them when we cook our beregen. After all this, we were tired but grateful to God for his many blessings of the day. 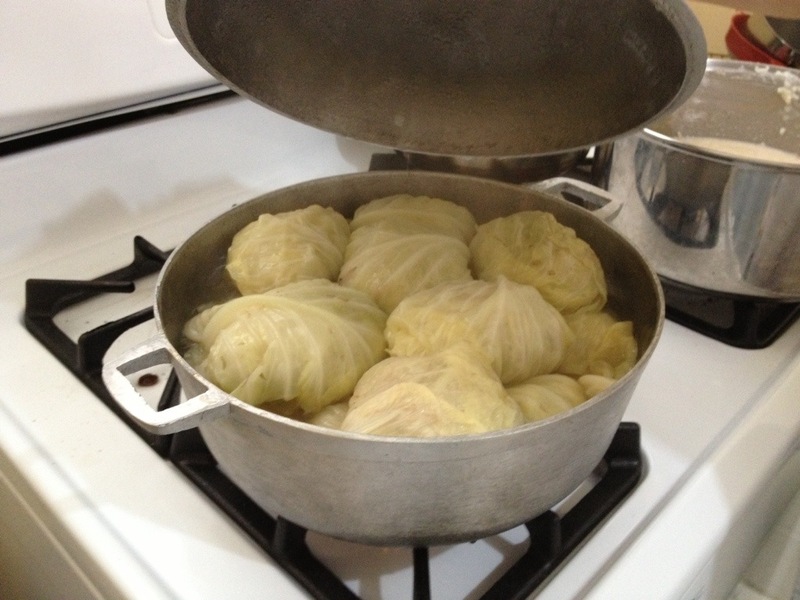 Those fruits look beautiful and the stuffed cabbage totally yummy!